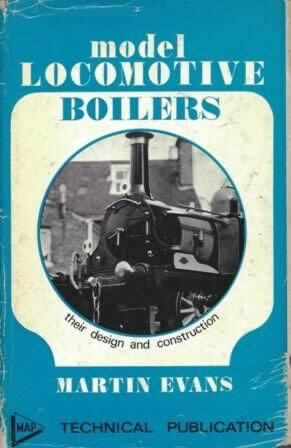 Model Locomotives Boilers - Their Design & Construction. This hardback book was written by Martin Evans and published by MAP Technical Publication. This edition is a second hand copy which is in a Reasonable Condition. However, the dust cover is slightly torn.